The aerospace and defense industry makes for a complex and ever-changing supply chain. Just this past year, military funding for aircraft reduced leading aircraft manufacturers to shift their attention towards commercial aircraft. Over the next twenty years, air travel demand is expected to double1 and aerospace manufacturing demand is expected to exceed $5.6 trillion2. There are changes occurring in the industry including surges in commercial demand and new technologies. Supply chain requirements have changed the way parts are handled to improve uptime and profitability while providing excellent service with speed, global reach, communication, and ability to manage varied inventory. Below are a few factors contributing to the complexity of aerospace supply chains. Aerospace manufacturers are now prioritizing their supply chains and spending the same amount of time evaluating it as they do with their research, development, and production. With demand for aircraft growing and companies looking to maintain costs, manufacturers are looking to their supply chain providers to help. 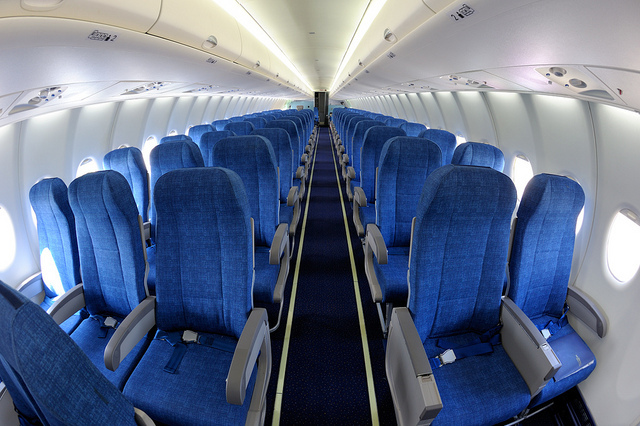 Airplanes contain over 350,000 parts that range in different sizes, function, and origins3. 3PLs understand that when it comes to shipping and storing these parts, one size does not fit all. From small screws to seats and wings, parts need specialized handling, racking, and conveyances to help streamline the production process. Aside from designing distribution centers, 3PLs can help manage the movement of all parts from different providers including aftermarket parts to maintenance, repair, and operations (MRO) suppliers. Aside from manufacturing new planes, manufacturers are also responsible to continuously make improvements to planes already in circulation. This is especially true for the defense sector where they maintain current aircraft longer. With help from their 3PLs, these companies can manage the entire process to ensure parts meet standards and are in the right place at the right time. There are different methods to setting up distribution centers, but many aerospace companies are setting up their warehouses similar to the automotive industry. In this method, they have areas set up in the front of the production line where they can combine and kit products for different functions. This type of location and kitting strategy reduces stock and makes items easier to move. There are strict regulations when it comes to aircraft, especially in the movement and production of parts. Customs compliance is one main challenge that manufacturers face. A single aircraft could contain parts from several countries and as focus moves towards lighter planes and fuel consumption, the sourcing of products is becoming more diverse. Customs becomes more stringent if the parts will be used for military purposes. The United States, like other countries, require manufacturers and shippers abide by strict tracking rules that allow them to have more insight in the history of aircraft and their parts down to the serial numbers. Aircraft manufacturers like Boeing and Airbus are reporting significant backlogs that they see continuing for quite some time4. Demand, sourcing parts, and regulations have all played a role in the production backlog. Aerospace companies are looking to streamline the production and movement of parts to speed up the process while continuing to be efficient. However, with the abundance of parts, movement, and compliance, it’s a challenge to obtain the right parts and orders in a timely manner. Recognizing these backlogs has made supply chain a top priority and with the right 3PL partner, network, and synchronization in place, companies can improve their production process. The aerospace industry needs to be prepared for the growing demand for new aircraft as well as prioritizing maintaining the current ones. With parts, regulations, and backlogs hindering their progress, utilizing a supply chain partner can help manage processes and inventory to keep time, cost, visibility, and safety a priority.